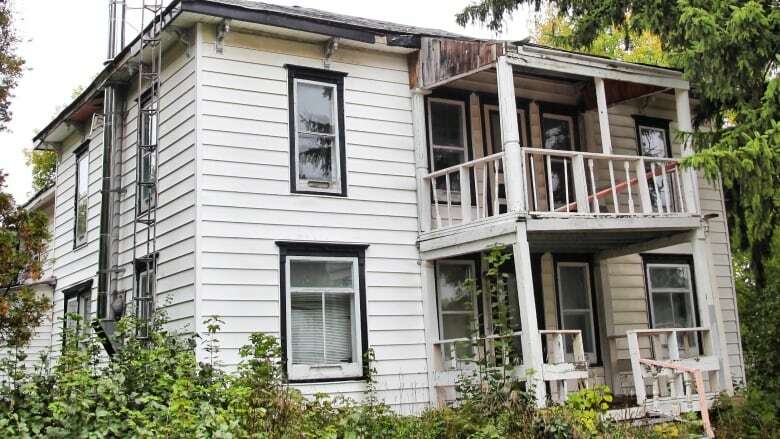 The birthplace of the beloved McIntosh red apple — its farmhouse abandoned, its trees overgrown and its outbuildings fallen into disrepair — is up for sale in Dundela, Ont., about 75 kilometres southeast of Ottawa. 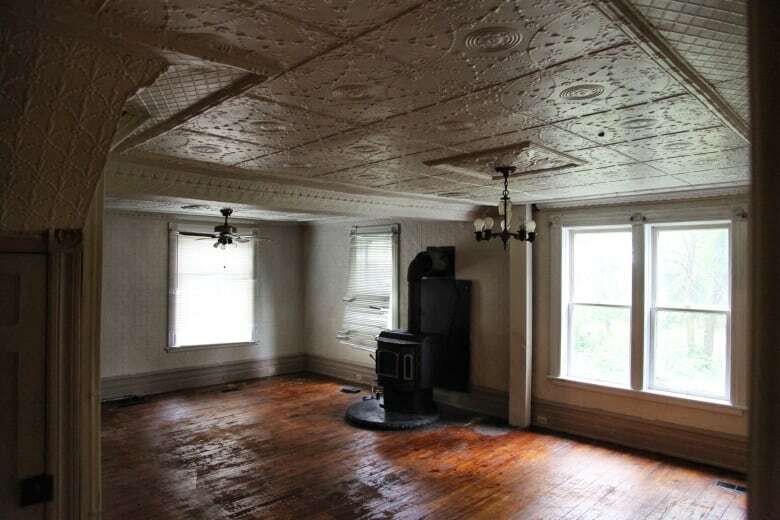 It needs work, but for the right lover of apples and/or history, this could make a perfect home. 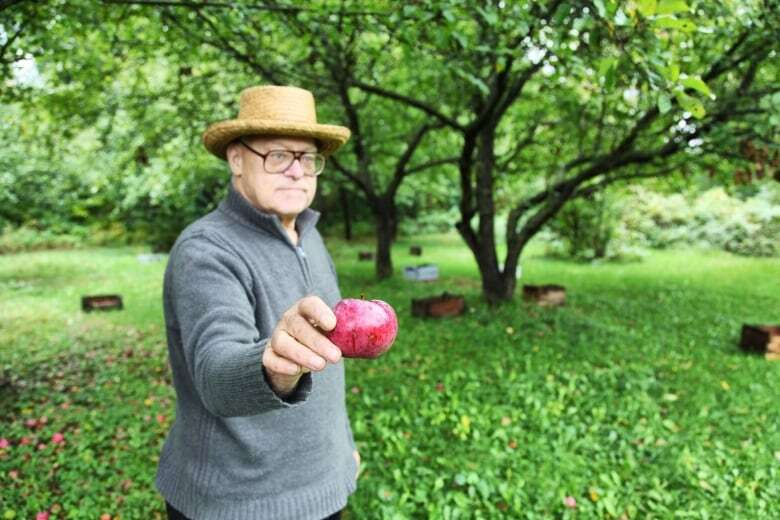 The birthplace of the beloved McIntosh red apple — its farmhouse abandoned, its trees overgrown and its outbuildings fallen into disrepair — is up for sale in Dundela, Ont., about 75 kilometres southeast of Ottawa. Its owner, 76-year-old Gerd Skof, purchased the McIntosh farmhouse and orchard with his wife in 1987, but the historic property was never a Garden of Eden for him. To keep out nosy, history-crazed interlopers, Skof put up "no trespassing" signs. When the curious began hopping the fence at the edge of the McIntosh family graveyard, he added an extra line of fencing. Today, the McIntosh red apple trees go unpruned and unpicked, with hundreds of kilograms of fruit rotting on the ground. Some have disappeared in wild overgrowth, along with pear and plum and walnut counterparts, as the orchard slowly returns to bush. 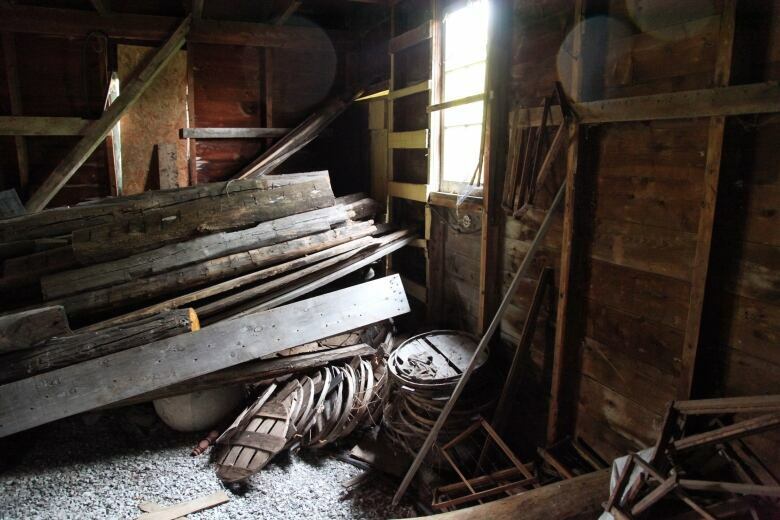 Some of the original farm structures have fallen down, and others are slowly giving in to neglect. The 5.5-hectare property is listed for $875,000. Skof, a former accountant and landlord who immigrated to Canada from Austria, moved out with his wife two years ago due to concerns that the property was too far from a hospital, should they suddenly need one. Rainwater and raccoons have at times taken their place in the vacant farmhouse, and in the outbuildings where the bee hives are kept, bears predictably visit. Skof blames the disrepair mostly on others — tradespeople didn't show up, or showed up and did bad work. At some point, somebody broke into the basement and stole a furnace. "What can you do?" he shrugged. Apple trees have persisted on the property with and without help for more than 200 years. After some family troubles, 19-year-old John McIntosh left New York and settled near Iroquois, Ont., in 1796. In 1811 he moved to what would become Dundela where, while clearing the forest, he discovered some young apple seedlings and transplanted them. One survived. The tender-fleshed apples it produced were a perfect mix of tart and sweet. By 1835, McIntosh's son Allan McIntosh had learned how to clone the trees by grafting stems from the original. The family started a "McIntosh Red" nursery, and Allan, a travelling preacher, spread the good word of their fruit far and wide. The original tree, meanwhile, continued to produce apples until it was damaged in a fire and fell down in 1909 or 1910. Mourners laid a small headstone at the stump of the tree not long after. 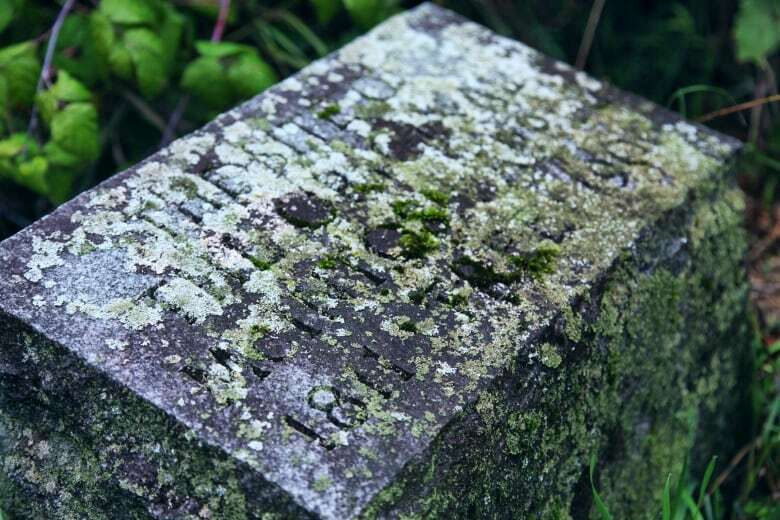 Today, it's painted in a thick crackle of blue-green lichen, its words barely discernible: "The site of the original McIntosh apple tree 1811-1906." In 1912, a second commemorative stone for the birthplace of the McIntosh was installed in front of the property, near the edge of the road. All these years later, Skof's asking price has neighbours wondering if he's serious. Skof won't say how much he paid for the property. "I wasn't worried about the price." The property has "been run down for too long," said Dean Beckstead, co-owner of Smyth's Apple Orchard, a five-generation orchard just down the road where McIntosh trees were grafted from the original tree. "Who would want to take over that job of cleaning it up? It would be a hell of a pile of money and work to get it presentable, and then to try to do anything with it." Skof, meanwhile, said he's somewhat reluctant to sell out of concern about capital gains taxes, but still, "the property here has lots of potential for somebody." If someone does decide to install a cider press and open the property to public tours, it won't be him. Nor would he sell it to the government, he said, partly out of fear of re-opening past tax trouble with Revenue Canada, and partly out of a more general distrust. Skof once turned down an overture from the mayor of South Dundas — Dundela is part of the municipality — to have the property made more inviting for tourists. "I'm not getting involved with the government. I don't trust them," he said. In 1962, the Ontario Heritage Foundation erected a blue-and-gold plaque outside the former McIntosh homestead, and in 2001, the Historic Sites and Monuments Board of Canada unveiled another plaque in a nearby park, declaring the apple's discovery a National Historic Event. But the property was not designated a National Historic Site. In an emailed statement, Parks Canada said acquiring and developing property of historical significance is "a very rare occurrence." Daniel Savoie, a spokesperson for Canadian Heritage, said the famous red apple doesn't have the status of the beaver or the Bluenose, and that "at this time, the government of Canada is not seeking to adopt any new official symbols." 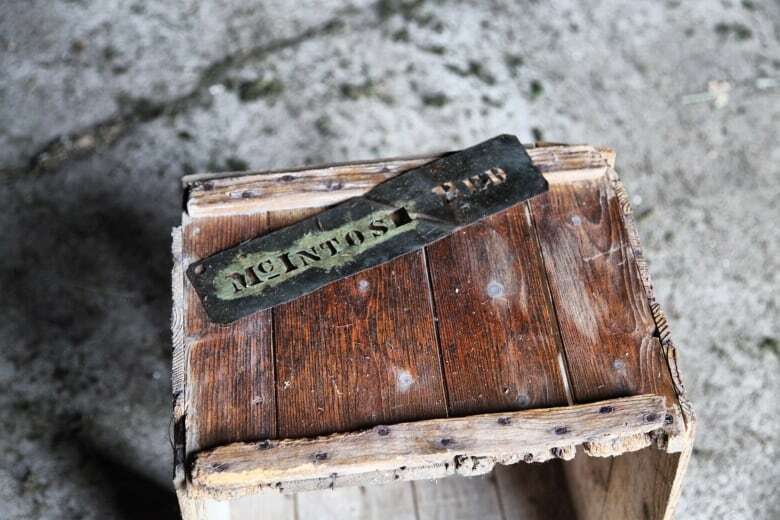 As Beckstead added a few McIntoshes to a Smyth-branded red bin, he shrugged. "The younger generation — really, truly, how many care about the history?" he asked. "To me it's just another piece of property with two monuments on it. That's probably all it'll ever be." "It's a shame to see anything like that." 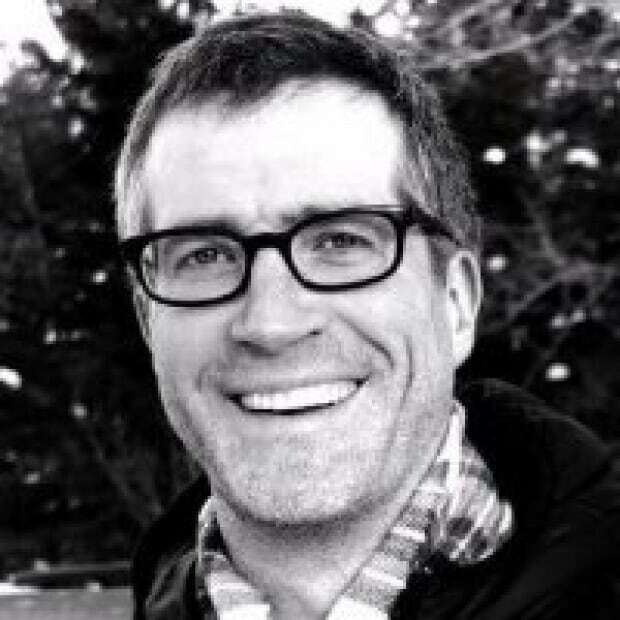 You can reach Stu Mills by email at stu.mills@cbc.ca. Apple harvest is in full swing! What's your favourite apple?